Huffington Post has just such an article. So I’m scrolling through the choices, and then I come to Basil Gloo®. No, that’s not a product to stick your broken china back together. (But wait! 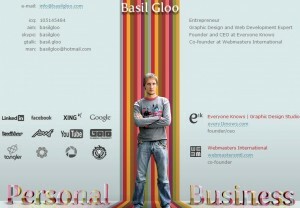 Order your Basil Gloo® now, and we’ll double your offer!) 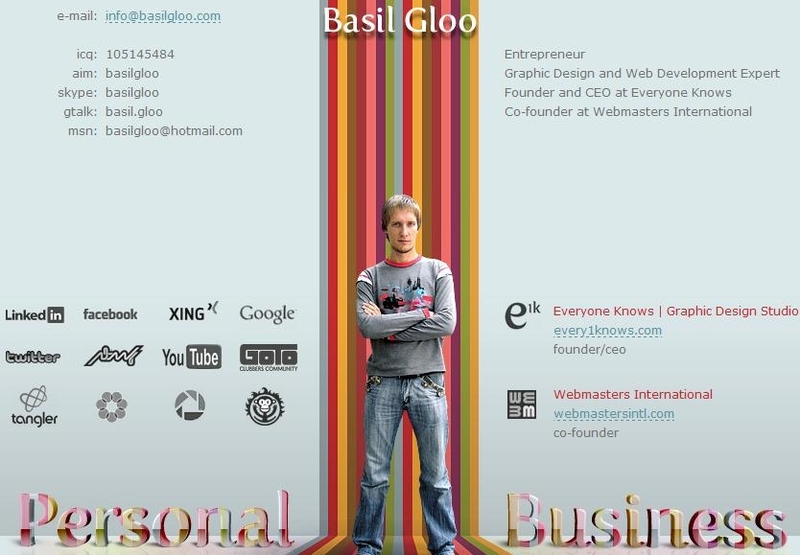 Basil Gloo® is someone’s name. Is that one of the best names ever? So here’s his website, divided into “personal” and “business.” This one is great, too.